Finally! A Jeopardy! category that we can dominate. On May 23’s episode of Jeopardy! a handful of our favs were featured in the gameshow’s notoriously tough questions. 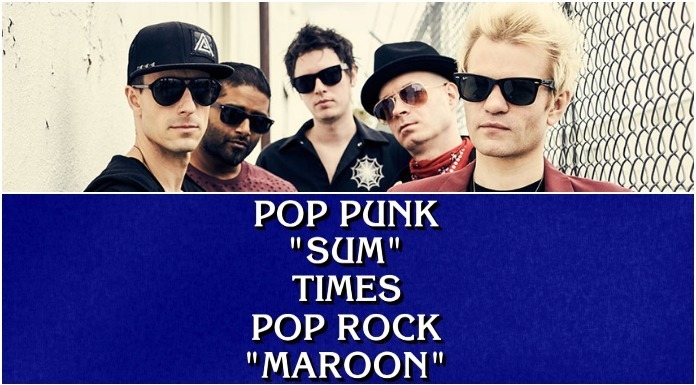 In addition to Sum 41 and Maroon 5, the category “Band Math” featured another question referencing Twenty One Pilots and Nine Inch Nails. Sum 41 and Maroon 5 were a part of the category’s $2000 question while Twenty One Pilots and Nine Inch Nails went for $800. Pop-punk band Sum 41 took to Instagram to bask in all of their glory. “Band Math” also referenced bands and artists such as Frankie Valli, Ben Folds and the Dave Clark Five. The play of the category took out the numbers in band names and had contestants fill in the blanks. After that, they had to, well, do the math. For some reason, we think that if we had been taught math like this in grade school, we would have gotten much better marks. “Band Math” was also home to one of the show’s “Daily Doubles.” See? The love for your favorite bands could really pay off one day. The winner of that episode was Josh Hill, who conveniently answered both the Nine Inch Nails/ Twenty One Pilots and Sum 41/Maroon 5 questions correctly. Hill continued his five-day winning streak, acquiring over $117,000 in the process. Do you want to try and see if you can beat these math wizards? You can watch the full category in-play below. Previous articleIs Panic! At The Disco’s Brendon Urie the next influential voice in youth culture?